Written to reflect the latest College Board standards, By the People, 2nd Edition, fully supports the AP. U.S. History curriculum framework and guides students in thinking the way historians think about evidence. Using chronological reasoning, comparison, contextualization, interpretation, and synthesis, students are able to understand that history is comprised of the stories of diverse every-day people as well as famous leaders—and that students have an integral part to play in the world they live in. The second edition builds upon the strengths of the first edition by reflecting current research, more diversity, and providing more features, such as “When Historians Disagree,” that reinforce critical and historical thinking. 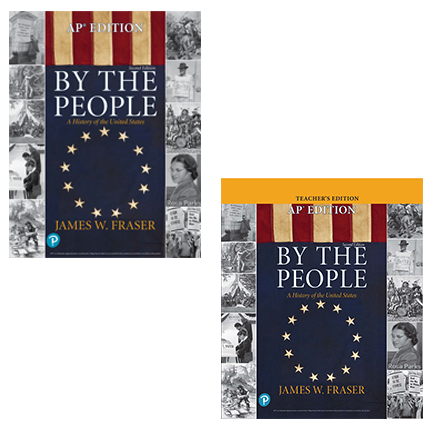 Each part of the text provides a correlation of chapter content to the Key Concepts in the AP U.S. History curriculum framework. AP Practice Tests at the end of each part have been completely rewritten to more closely reflect the actual AP exam and include multiple-choice, short answer, long essay, and document-based questions that fully prepare students for the AP exam. NEW! A new comprehensive Annotated Teacher’s Edition provides guidance on key concepts and subtopics, student-centered classroom activities, additional resources and lessons, and special Historical Thinking exercises. 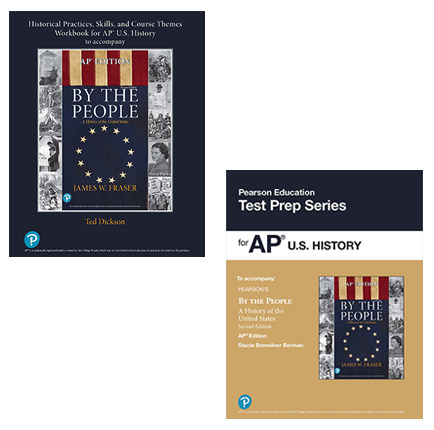 By the People offers a complete collection of support materials, such as the new Historical Practices, Skills, and Course Themes Workbook for AP® United States History, written by Ted Dickson, Test Prep Workbook for AP U.S. History, DBQ Workbook, and Reading and Notetaking Study Guide. These resources help students of all ability levels with support for reading, understanding, active learning, writing skills, and preparation for the AP exam. 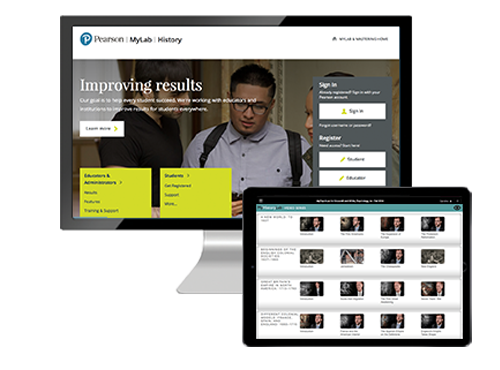 A fully integrated learning program, MyLab History helps students better prepare for class, quizzes, and exams—resulting in more dynamic experiences in the classroom and improved performance in the course. An eBook version of By the People lets students access their textbook anytime, anywhere, and any way they want. Personalized study includes AP Practice Tests that reflect exam style questions. Interactive resources include videos created in partnership with the Smithsonian Institution. 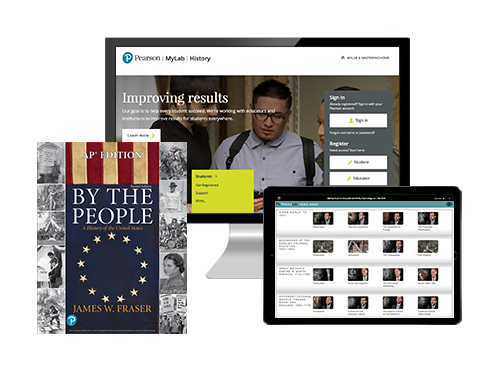 Engaging multimedia assignments include more than 200 primary source documents with audio. The powerful homework and test manager includes an AP Exam Style Test Bank. Strategies for Success in your AP® U.S. History classroom. Listen and share the webinar recording presented by James W. Fraser and Ted Dickson. The authors focus on techniques to introduce and reinforce several aspects of the current course framework that will help students develop the History Disciplinary Practices and Reasoning Skills that they need to demonstrate on the AP® Exam.